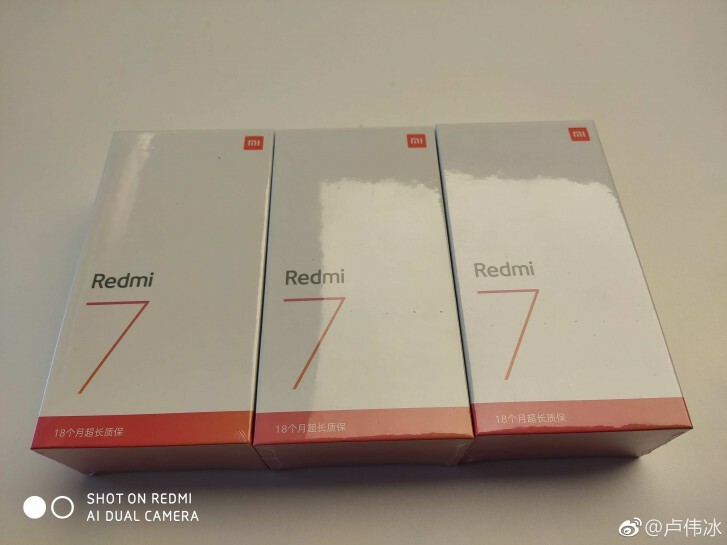 Xiaomi is introducing the Redmi 7 today at 2 PM Beijing time or 7 AM CET. The event will be live streamed on Xiaomi’s website, and we provided a link below for all fans out there. The phone is expected to be introduced by brand president Lu Weibing, and we expect to see the Redmi Note 7 Pro as well. Rumors and leaks pointed to a phone with 6.26” LCD and HD+ resolution. There will be a notch for the 8 MP selfie camera. The chipset is expected to be Snapdragon 632, coupled with 2/16 GB, 3/32 GB, and 4/64 GB memory configurations. Sadly, the device will skip the 48 MP shooter and will settle with a 12 MP + 5 MP setup on the back. At least the battery remains relatively big – 3,900 mAh, but don’t expect massive quick charging with this chipset. At least there will be plenty of colors, with one leak suggesting at least eight. Since the Redmi Note 7 was set at CNY999 ($150), the Redmi 7 should be between CNY699 and CNY899, which is around $105-$130 or €90-€120.